I've been a naughty boy this week and splashed out on some new bits for me and my good lady wife, I spent nearly £50 and ended up with these beauties! I bought myself the pen holder with pen in black in both A5 and personal size whilst I bought my wife the same sizes but the blue colour. You will notice immediately that the black ones are fully black but the blue ones have blue outer pockets but the middle piece is transparent. 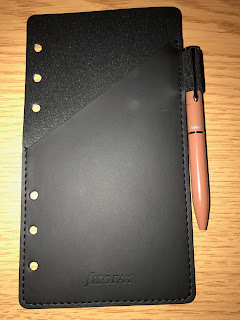 The black holders come with a brown pen (from the botanics range) whilst all the the others that are available come with the a matching coloured pen. 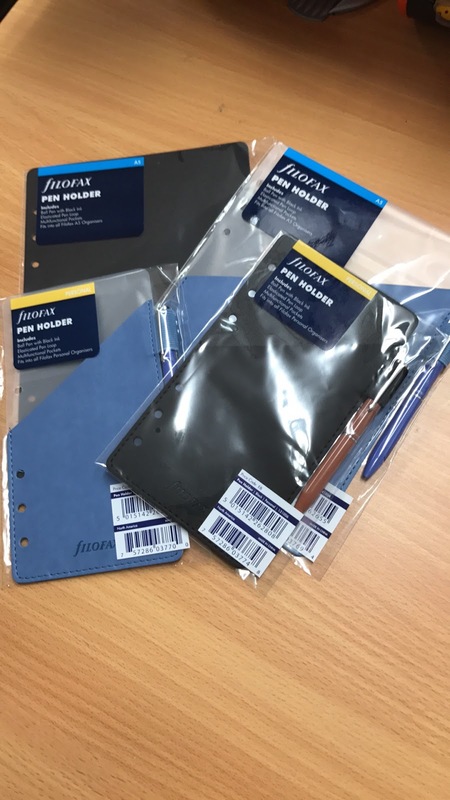 The complete range from the actual Filofax website features just A5 and personal holders with 5 colours in total, Red, Yellow, Blue, Green and Black. These colours are very much in keeping with a lot of the current on trend organisers that Filofax stock, I think they lack a little imagination but I suppose it is still early days and they are at least trying something out. 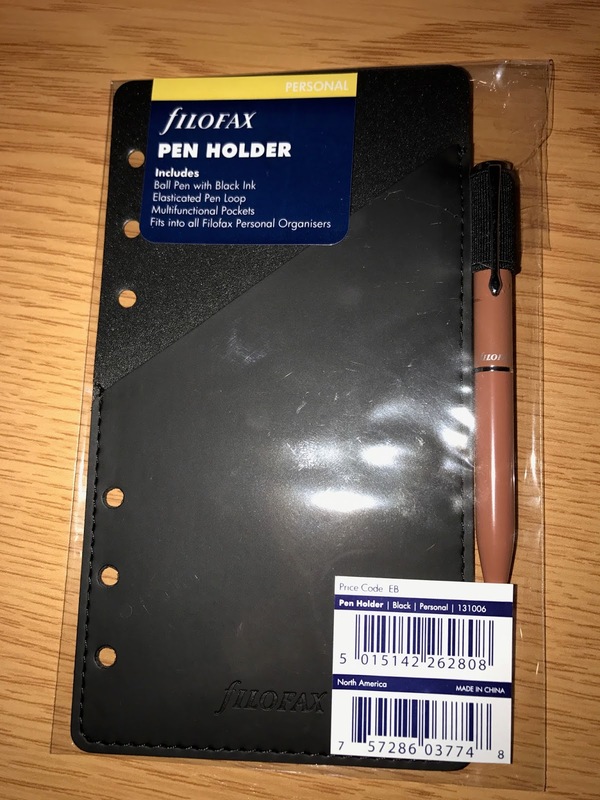 I am surprised that the packaging has stayed the same since the Filofax brand was bought a few years ago, you thought they may have tweaked it by now, maybe that's to come yet? 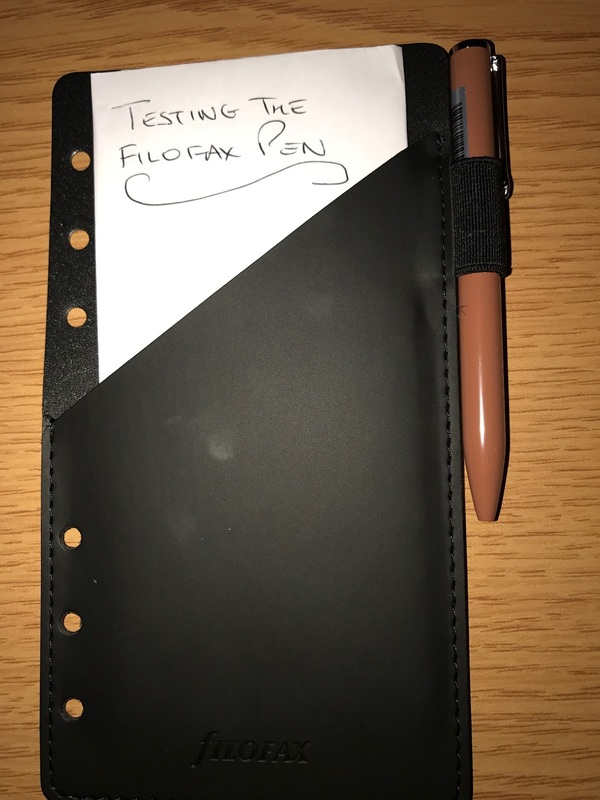 This is the rear side of the personal size with a brown pen, no idea why brown and not black but it still looks smart. I do have a few Filofax pens and some of the barley pencils but i'm not really a fen of their pen ranges, I more of a rollerball fan so a ballpoint pen doesn't really cut it with me. The pen loop is elastic which isn't the most attractive but it is much more functional than a leather loop which can snap over time. I have tested out the pen as shown on the right hand picture but it is exactly as you would expect, nothing exciting to report! 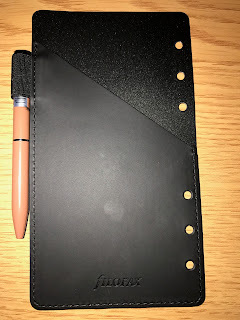 The overall feel of the product is good if a little underwhelming, it doesn't claim to be leather but it is trying to mimic it with this PU leather type covering which is a shame given Filofax's history. The price isn't too exorbitant either and I have seen cheaper on eBay already so it won't be long before they drop in value. 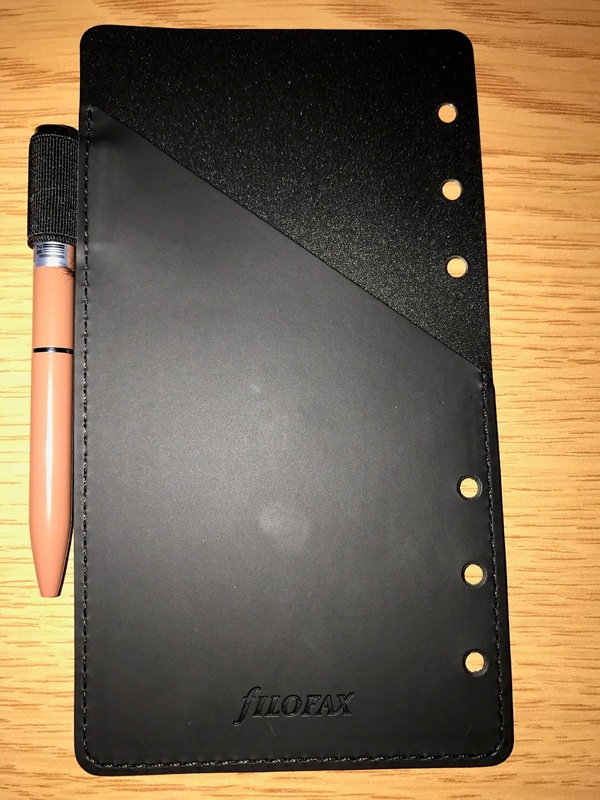 The thing i'm most impressed with is that the parent company of Filofax are at least doing something with the brand and introducing new an innovative products, not necessarily super exciting but it is at least a start. 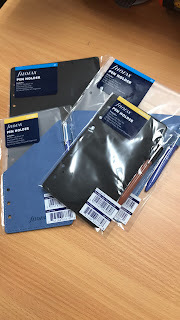 If I had it my way it would be made from Leather with fine stitching, similar to that of the Filofax heritage which came out last year, we live in hope.